northern New York State, organized in 1806. 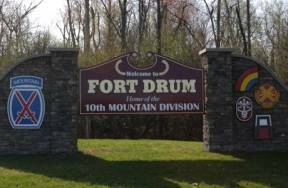 The Village of Evans Mills and part of the Village of Black River are located within the Town as is the main cantonment area of Fort Drum, home of the U S Army's 10th Mountain Division. Current population is estimated at just over 22,000 with several new development projects in process. 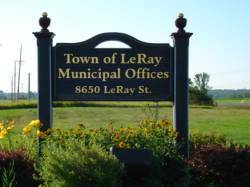 The Town is just over an hour north of Syracuse and about 30 minutes south of the St. Lawrence River and the Canadian border. The City of Watertown is one mile south of the southernmost part of the Town. Interstate 81, running north/south, lies just west of the Town while US Route 11 and NYS Routes 3, 26, 37, 283 and 342 traverse portions of the Town. We continue to build and improve this website toward our goal to have an interesting and informative site for long-time residents and business owners, as well as new and prospective residents, businesses and development professionals. We hope you find the site helpful to obtain information or direction on a subject important to your needs.